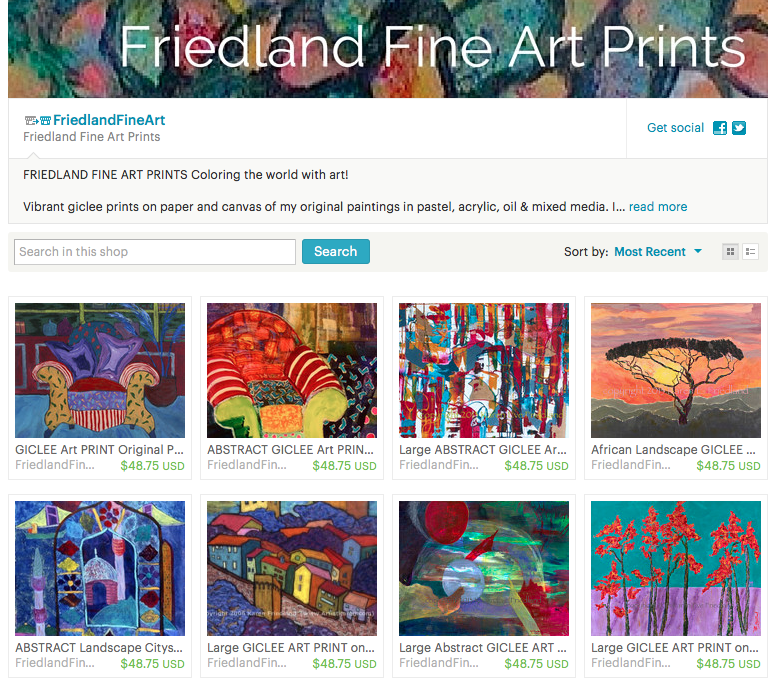 I am making this a home for my many works that are art prints ready for reproduction. It is a place where you can take home some of my best paintings, even those that the original has sold. They are giclee prints -professionally printed art prints- of my original artwork: paintings, pastels, mixed media pieces- are of the highest quality possible. My pictures delight and uplift, to send your spirits soaring! The colors will energize and enchant you. The reproductions and original artwork shown there are created by me and conform to the highest standards. My prints are the best fine art giclée reproductions have generous 2” borders to set off the image and enhance ease of framing. Mirror edge lets you hang stretched canvas prints without framing them! Here are some of the pictures that you can take home from the shop! I hope you will go to my Etsy shop and “favorite ” it and “favorite” any items you like. I think you’ll find some you like, a perfect gift to yourself or someone special! To make it a sweet treat just in time for Halloween, if you use the coupon code: HappyHalloween, you will get 10% OFF your purchase! This offer only goes through Halloween weekend, so don’t delay. Please let me know what you think the shop (a work in progress) and anything of mine that you would like included there!